It’s February, the month filled with valentines, hearts and love. One of the best ways to share your love this month is to have a loved one join you in getting screened for colorectal cancer. And then maybe celebrating with some heart-healthy dark chocolate! At the Kenosha Community Health Center, we offer underserved citizens of Kenosha County comprehensive healthcare which enables our patients to maintain their well-being by addressing health disparities and providing access for all. Partner with us to improve your health and that of your loved ones. Our team is happy to share more information about cancer screenings; we want to build awareness around one type of cancer in particular: colorectal. Screenings are incredibly important for this disease, as colorectal does not always have noticeable symptoms. Screenings also find this cancer early, when treatment can be most effective. Kenosha Community Health Center provides stool testing for colorectal cancer. This test is less invasive than a traditional colonoscopy. If you notice any of these symptoms for colorectal cancer, it’s important to contact your physician or a member of the KCHC medical team right away. We can connect you with screenings and specialists, and help you take charge of your health. Share the love this month-and share all this information with loved ones. Screenings save lives. Schedule a screening appointment at the KCHC today by calling 262-351-1749! For more statistics and resources on colorectal cancer, visit www.cancer.org. For Wisconsin cancer data, visit www.wicancer.org. There were nearly 100,000 new cases of colon cancer and 40,000 new cases of rectal cancer diagnosed in the United States in 2017. 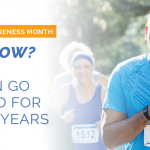 Early detection is key, as death rates from colorectal cancer are still highest in African-American men and women. 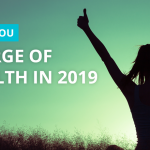 Call KCHC at 262-351-1749 to schedule your appointment today and help make 2019 a healthy year for yourself and your family!